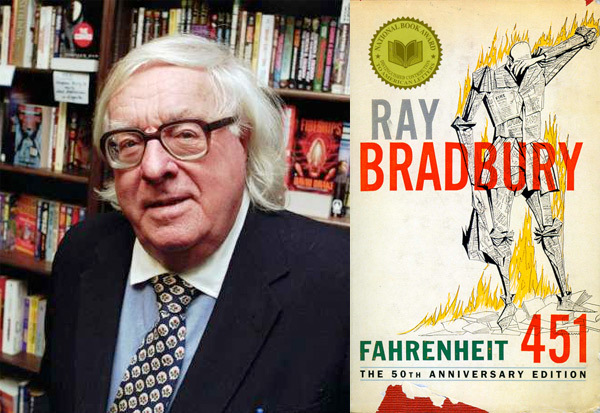 Thinking about Ray Bradbury takes me back to my adolescence, when my reading was omnivorous and included lots of Bradbury’s books, which ranged from science-fiction classics (Fahrenheit 451) to sentimental fiction perfectly suited to dreamy teenagers like me (Dandelion Wine). Then at Rice University I got to act in a sweet little one-act play of his, The Wonderful Ice Cream Suit. I think I played a character named Villanazul. This entry was posted on	June 6, 2012 at 11:01 am	and is filed under R.I.P..